Spirited Debate: Should religious clothing be banned in public? 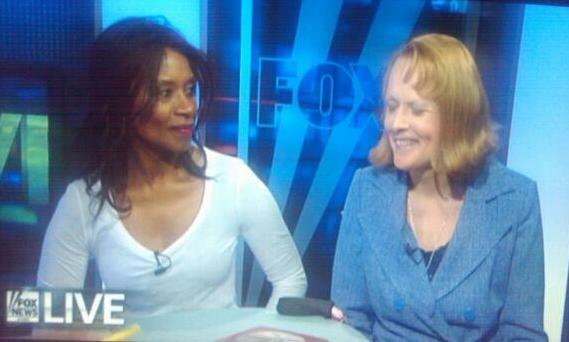 Recently, Fox News’ “Spirited Debate” featured Kennedy Williams-Benjamin debating France’ s veil law. Kennedy and her fellow panelist appeared with host Lauren Green on ‘Spirited Debate,’ a web-based news show on FoxNews.com Live. Kennedy points out that the niqab face veil worn by pious Muslim women is no different from the yarmulke worn by observant Jews. The panelists then discuss whether physically revealing Western fashions are as oppressive by other cultures. Needless to say, Kennedy’s comments sparked a good exchange between the panelists. Like my friend, many Americans are unconsciously affected by our sexually charged culture than they realize. Too few American perceive the constant media portrayal of scantily clad women may also be a form of oppression. Unintentionally, President Sarkozy has opened debate on how French couture fashion –with its focus on a distorted female form– is a torturous oppression of women. High heel pointy-toed shoes throw the female wearer into a toe crunching, back-breaking totter that push out the breasts and buttocks. In comparison, the niqab face veil and the burqa seems much more liberating of the female form. Watch The Video: Panel discusses ramifications of putting restrictions on women’s clothing. Ms. Williams, the author of Processing Life’s Moments: Therapy for the soul, is a semi-regular guest on Foxnews.com LIVE. ‘Spirited Debate’ is webcast Fridays at 2PM. 3 Responses to Spirited Debate: Should religious clothing be banned in public? It’s actually a nice and helpful piece of info. I am happy that you simply shared this helpful info with us. Please keep us informed like this. Thank you for sharing.